Born and Bread in NYC. 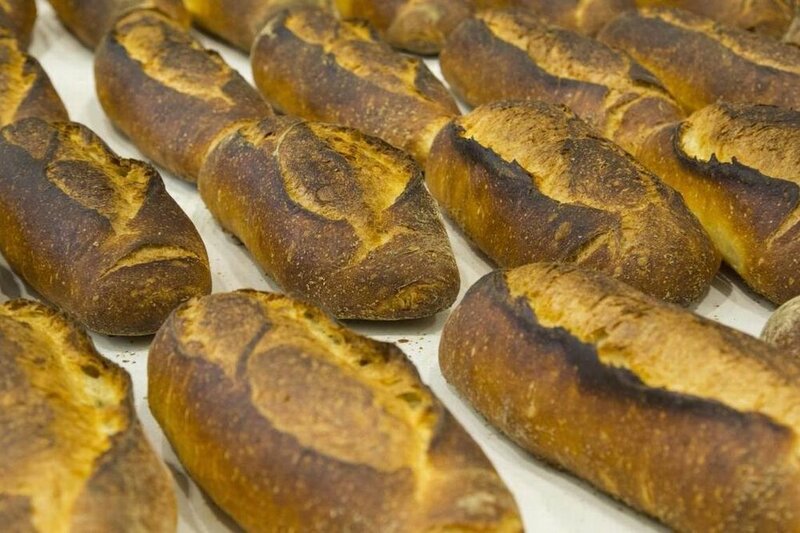 Since 1994, Sullivan Street Bakery has been crafting New York City's finest bread. See you soon at one of our bakeries. Click here to purchase an eGift card for one of our shops! The first outpost outside of NYC. Baking since 2017. Find out more about wholesale below. Retail coming soon. Jim Lahey thought he was going to be a sculptor. After noticing he couldn't find bread in New York like the beautiful, crusty loaves he ate in Italy while traveling there as an art student, he took it upon himself to recreate those loaves. 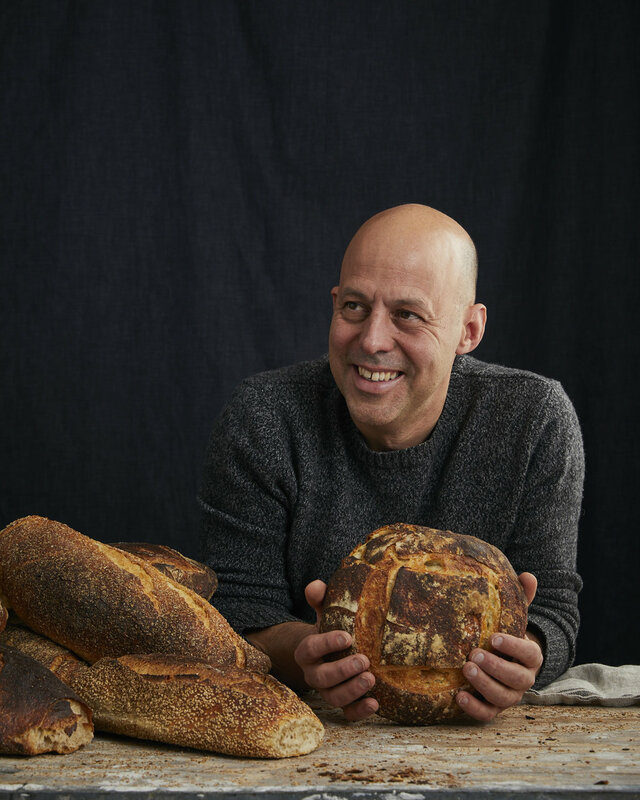 In 1994, he opened Sullivan Street Bakery, and eventually became the first recipient of the Outstanding Baker James Beard Award. After the popularity of the No-Knead Method, in 2009 My Bread was published, followed by My Pizza and The Sullivan Street Bakery Cookbook. Each book allows home bakers and pizza makers to easily make their own loaves of bread and pizza right in their own ovens. Click on an image to shop. If you've eaten at a restaurant in New York or Miami, chances are high you've tasted our bread. If you're interested in becoming a wholesale customer, please see the product lines available for your city and get in touch. Please note that our cutoff time for orders is 2pm. Sign up for our newsletter to hear about upcoming classes, events, and products. Website designed and written by Peter Hoffman. All photographs by Squire Fox unless otherwise noted.